Sparx Systems supports industry-standard architectural frameworks to facilitate enterprise modeling. 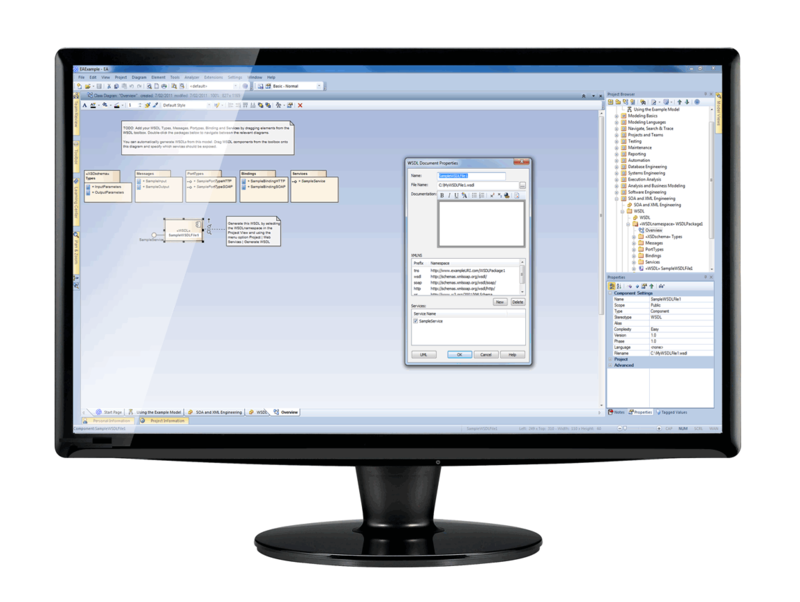 In addition to architectural frameworks, Enterprise Architect has built-in support for The Open Group's latest ArchiMate 2.0 enterprise modeling notation. Enterprise Architect implements the OMG's Service oriented architecture Modeling Language (SoaML), which provides a standards-based approach to modeling SOA solutions using the UML. As a natural complement to SoaML, Enterprise Architect also supports the Service Oriented Modeling Framework (SOMF), which encourages a holistic view of enterprise software entities via a technology-independent notation. The SOMF modeling notation provides an intuitive approach to visualize 'used-to-be', 'as-is' and 'to-be' states of the enterprise service portfolio. Enterprise Architect can model, forward engineer and reverse engineer two key W3C technologies: XML Schema (XSD) and Web Service Definition Language (WSDL). XSD and WSDL support is critical for the development of a complete Service Oriented Architecture. The coupling of UML with XML provides a natural mechanism for specifying, constructing and deploying XML-based SOA artifacts within an organization. 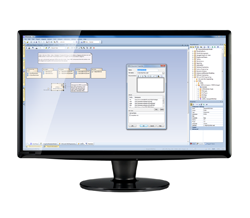 Enterprise Architect's XSD and WSDL capabilities also support BPEL generation from UML models.